The state of Nevada is known for some of the prettiest landscapes around. There are plenty of desert scenes to enjoy as well as oasis like greenery through out the state. The warm climate makes many areas of the state great for growing and maintaining outdoor gardens. 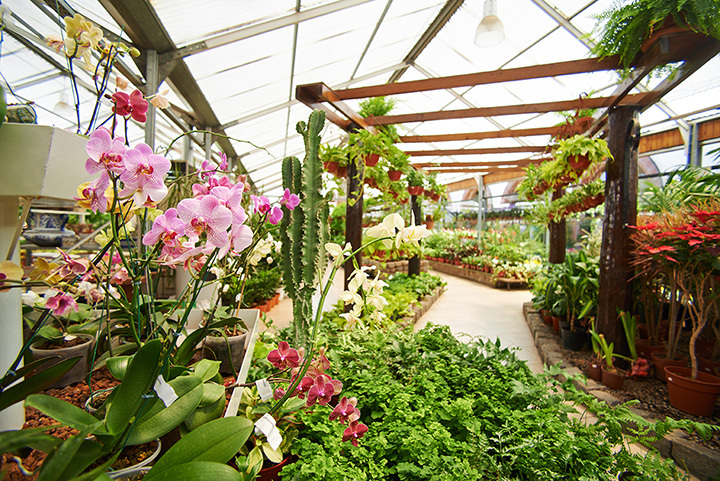 Explore our top 10 picks for garden centers in Nevada to get your garden going. Home to one of the largest collections of garden ready cacti, this is the place to go to find desert friendly plants. They specialize in southwest garden art as well. Whether you are looking for a native Joshua Tree or an indoor cactus, there are plenty of easy to care for plants to take home. The staff are experts on everything desert. This adorable gift shop doubles as a garden shop due to an outdoor garden center. They specialize in unique items to add whimsy and fun to any garden. Staffed by some of the nicest people around, many locals drop in just to see what is new. This garden center works with both home owners and businesses. They offer everything from garden supports to full on designs. Beyond a huge selection of plants and decorative pieces to finish an outdoor space, they also specialize in all the support items like irrigation systems. A garden center with a focus on family. They offer products to make your garden a truly usable space. This includes design services for outdoor living, play equipment for the youngest members of the family and supports for those who want to do every thing on their own. Community access and gardening education are two of the biggest drivers behind the activities at this 180-acre garden showcase. This is an amazing place to visit for inspiration, to take a class about water conservation or to get kids interested in gardening. Living in a warmer climate means everyone needs and irrigation system. These are the go-to professionals in Spraks. They know how to balance the climate with garden supports to get the most out of your garden and lawn. Classes to teach new gardeners the art is also a big focus. A co-op with a focus on home improvement. This unique company builds community one connection at a time. They offer hand on supports, a full range of outdoor plants and some unique building supplies for outdoor structures. Whether you are looking for a few plants or to build a full sized garden gazebo, this is the place to go. This garden center likes to take their customers from education all the way to becoming their own master gardener. They have a huge selection of fruit trees which make a nice addition to most yards. Seminars are a specialty of this small town business. Looking for an alternative for a garden in the desert? These guys are the experts in indoor gardening. They sell a full range of support items to start and maintain anything one might want to grow inside. This quaint location offers some great example of gardens that pay tribute to the southwest desert landscape. The approach is showing by example and these grounds are worth a visit to gather ideas and tips about year-round plants that are desert friendly.